Navy Lieutenant Tufts accompanies scout Quincy Wyatt into the Everglades to rout the Seminole Indians who are threatening the early settlers in Florida. When the command is forced to run, Wyatt and Seminole Chief Oscala square off in an exciting climax. There are not very many films depicting the 2nd Seminole War of 1835-1842, in Florida. This is unfortunate as this was not only America's longest, but its bloodiest Indian war as well. 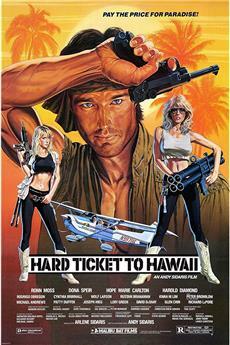 Other films relating to this conflict include Seminole, and Naked in the Sun. 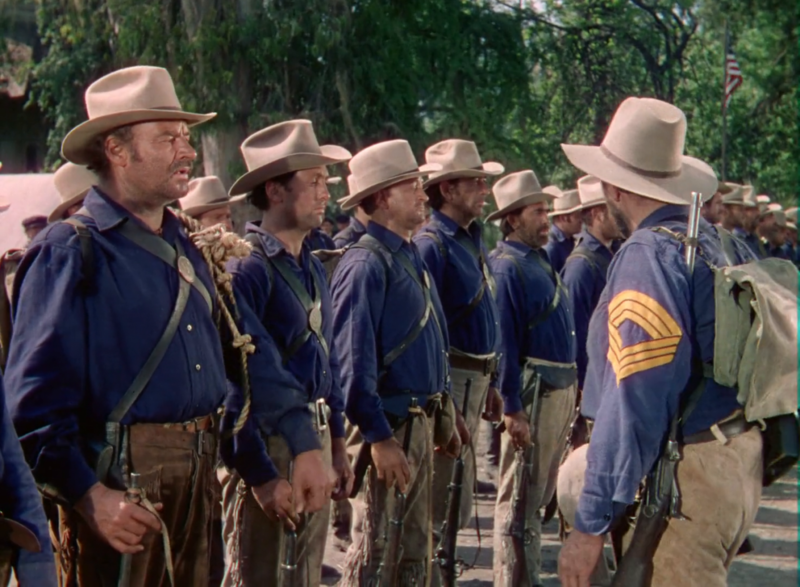 Due to the sparsity of Seminole War films I will admit a bias for this film despite its ridiculous plot, bargain basement Hollywood surplus wardrobe (The soldiers are in a mix of fanciful fringed pants and ca. 1898 Spanish-American War hats and shirts etc. ), and anachronistic armaments(the soldiers are using M-1873 Trapdoor carbines, the Seminoles the full length M-1873 rifle-both sides used flintlock weapons in 1840). A large chunk of the plot surrounds Cuban gun runners supporting the Warriors. In truth, despite 7 years of naval blockade of the Florida Coast, the US Navy never proved the fears of such a trade from Cuba...I could go on and on... True, this is nothing more than a transplanted "western" in the Swamps of Florida, although I detect a great deal of Director Walsh's previous Objective Burma in this flick (compare the gator pit in the Seminole village with the similar scene in the Japanese held village in Objective Burma) The true star of this one is the scenery, as, almost alone amongst the few Seminole War films, this one takes full advantage of the wildly beautiful Florida Wilderness. Other comments note the great underwater battle scene, but I am spellbound by the cypress swamp and saw-grass settings as well. 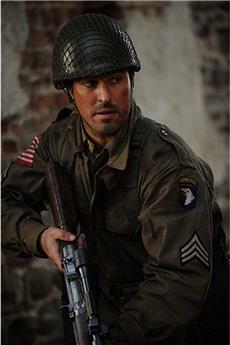 You won't learn much about the War from this movie, but it does have some basis in fact. By 1840 the army was relying on small patrols like Cooper's in the film to track down hostile Seminoles for removal to the west. Thats about as close as it comes to the history books, but it is still an exciting action film with an O.K. musical score. United States Pictures which released Distant Drums through Warner Brothers was I think Gary Cooper's own production company. Looking at The Films of Gary Cooper book, I noticed about three others with same credits in the Fifties of which Distant Drums was the first. 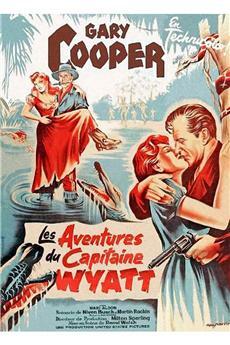 The film was shot on actual location in the Everglades, I think Gary Cooper must have gotten some taste of what Bogey and Hepburn were enduring doing The African Queen. Too bad the story didn't rate the same as The African Queen. Cooper is an American Army captain on duty with the army of General Zachary Taylor, played by Robert Barrat, who lives on his own island and doesn't dress in any army uniform. Zach Taylor had a reputation for informality, but that was carrying it a bit too far. The only other guy who had his own private island during war was Lt. Commander Quentin McHale and his PT Boat crew. Anyway Barrat gives Cooper a mission and a Navy lieutenant played by Richard Webb to carry it out. To attack an old Spanish fort and go by boat across Lake Okechoobee. An early type of amphibious warfare. The attack goes off as planned and some civilian prisoners are rescued from the renegades using the fort. 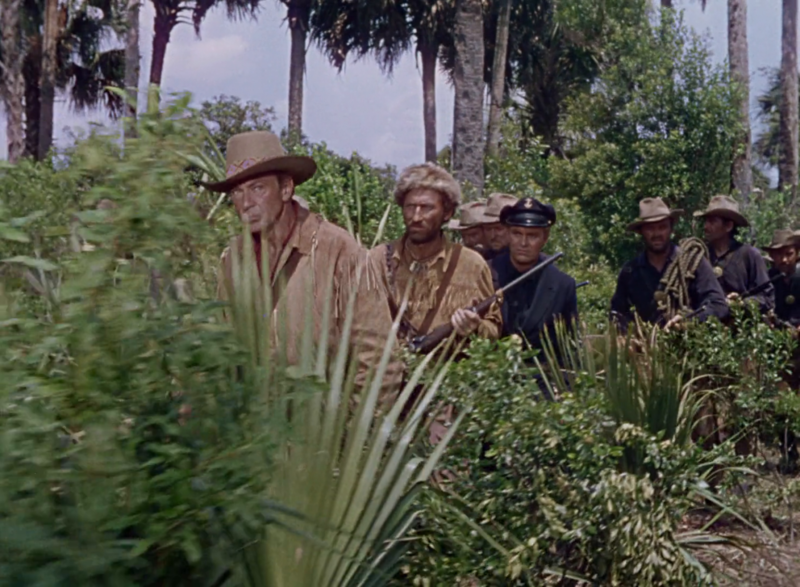 But the Seminoles are in hot pursuit of Cooper and the whole bunch through most of the film. I can't believe by the way that a director like Raoul Walsh had the army and the Seminoles fighting with repeating rifles and six shooter revolving pistols. Stuff wasn't invented yet. For the early years of the republic, Florida under Spanish rule and loose rule at that, was a thorn in our side. Pirates like the ones you see here used it as a haven for raiding purposes. But it was also a refuge for runaway slaves. Our southern states wanted Florida acquired to put an end to that. The indigenous tribes to Florida, the Seminoles did offer refuge for runaway slaves. So a war there was inevitable, especially when southern presidents like Andrew Jackson were in the White House. Maybe one day someone will do a proper film on the early history of Florida, but this ain't it. I saw "Distant Drums" for the first time when I was 10 or 11 years old and I recall it was a great film for me. 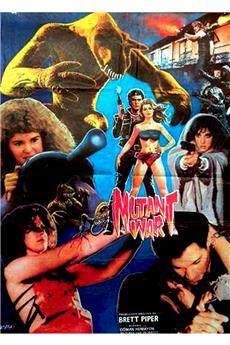 Then I saw it as an adult and though it was not the great film I remembered it was still very good as an action and adventure sort of western. Since I'm not from the USA I didn't notice some historical mistakes -mainly the use of guns and rifles not yet invented by the time of the action- I learned about after reading some reviews here; I think those are major flaws in a movie. 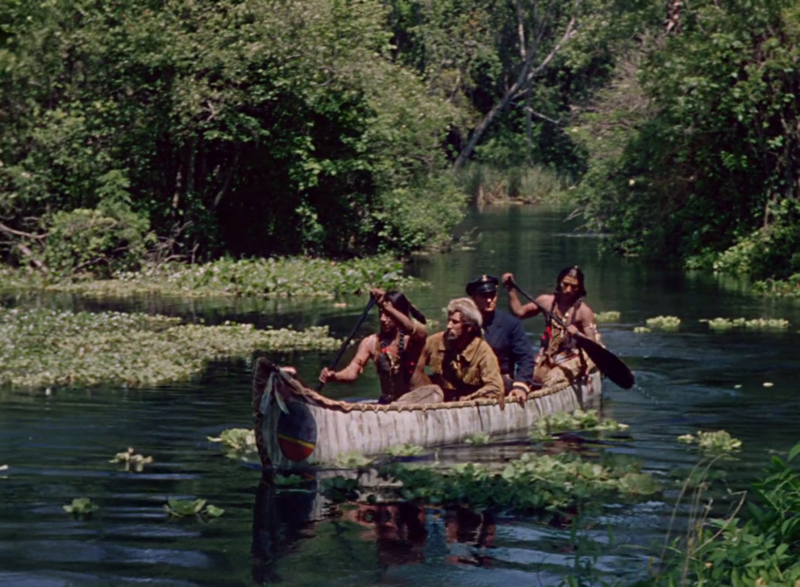 However, I think my little knowledge about the Seminole wars in Florida give me the possibility of judging the film just at what it is: an adventure film. That established, "Distant Drums" appears to me as a highly entertaining and well done movie as well as a very original film mainly because of where the action is located. Is has great color, beautiful photography and incredible open wide sceneries in the Everglades. The plot -although kind of standard (a bunch of soldiers chased by savage Indians through the swamps- is however very well handled by director Roul Walsh and he keeps action going all along without major bumps. The sequence at the Seminole village is most impressive and tense as it is the final underwater knife duel between Captain Wyatt and chief Okala. Gary Cooper (Wyatt) is very good as the leader of the escaping troop and shows the presence and self confidence a leader should. The rest of the cast brings a good support too, mainly Arthur Hunnicutt (Coooper's sidekick) and Ray Teal (one of the troopers), and Mari Aldon does a credible work as Cooper's romantic interest. Seminole chief Okala looks mean enough and a proper match for Cooper. Perhaps the less impressive performance is that of Richard Webb kind of dull as a navy officer involved in the mission. 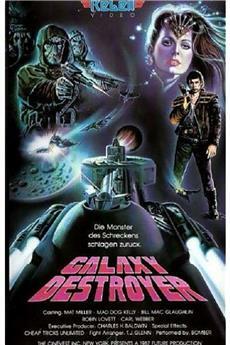 In all this a decent action/adventure film, most entertaining and worth seeing for those who enjoy the genre.